Many people reading this now have let more than their fair share of incredible career opportunities slip right through their fingers. 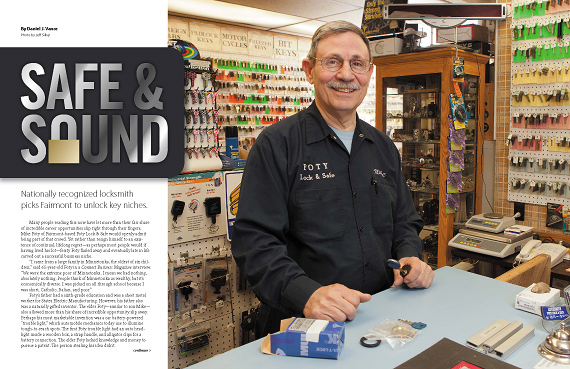 Mike Foty of Fairmont-based Foty Lock & Safe would openly admit being part of that crowd. Yet rather than resign himself to an existence of continual, lifelong regret—as perhaps most people would if having lived his lot—feisty Foty flailed away and eventually late in life carved out a successful business niche. As editor, I’m often asked how we choose feature stories. It’s complex. In part, we consider how many Connect Business Magazine copies businesses in a particular city or county receive and divvy up features and cover stories proportionately. 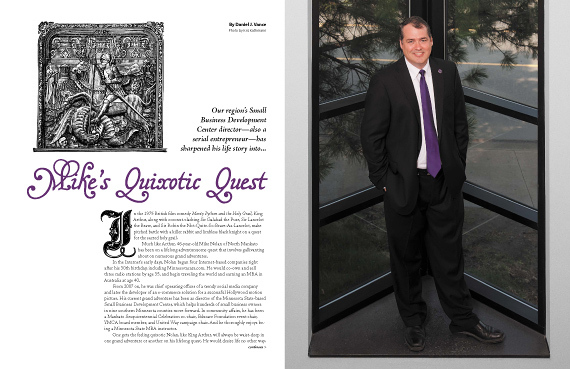 “When I was growing up, my dad was my biggest influence,” said 28-year-old Jon Wheelock in a Connect Business Magazine telephone interview. He began Wheelock Electric about a year ago. Michelle Muff began her own counseling business at 505 South State earlier this year. Her family upbringing seems to have played a pivotal role in her personal development and ultimate career choice.